Two Megawatt Radio site in Hungary will be upgraded over the next year with a Nautel NX2000 MW system. 30 August 2016, Hackett’s Cove, Nova Scotia – Nautel Limited today announced receipt of an order that will place Nautel’s largest transmitter, the 2 Megawatt NX2000 Medium Wave system, into operation at Antenna Hungaria’s transmission facility near Solt, Hungary. Porion Digital KFT will manage commissioning of the system, which will involve large infrastructure changes at the site as well as the new transmitter. Antenna Hungaria is wholly owned by the government of Hungary and provides broadcast, telecommunication and multimedia services throughout the country. Their Solt operation is the most powerful medium wave radio transmitter in Europe and one of the most powerful transmitters in the world. Its signal on 540 kHz can be heard all over Europe as well as in parts of Africa, Russia and Asia. The solid state Nautel system will replace an aging custom-built tube transmitter that has been in operation since 1977. The system will incorporate five Nautel NX400 transmitters with a combiner. Nautel will work closely with Porion throughout the commissioning phase of the project, including interfacing with the existing medium voltage supply, coordination of building modifications to accommodate the new transmitter, and required air handling equipment. 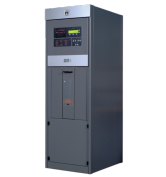 Nautel’s high-power NX Medium Wave transmitters provide unmatched reliability with the industry’s top efficiency (90%) and surprisingly compact cabinets. 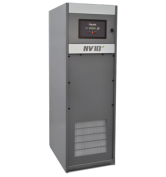 Individual transmitters are available in 100, 200, 300 or 400 kW designs; these discrete transmitters can be combined to achieve any desired power output up to 2 MW. 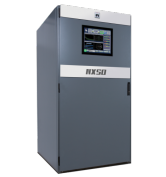 (Lower power units are also available in the NX Series, ranging down to 3 kW.) In addition to their high efficiency, NX Series transmitters provide digital pre-correction, RF and audio spectrum analyzers, 1.8 MHz direct digital modulation and Nautel’s award-winning Advanced User Interface for management and control from almost anywhere. The transmitter upgrade is scheduled for completion in the fall of 2017. Nautel Limited will demonstrate transmitter technologies ranging from low power FM to high power Medium Wave on stand 8.C49 at the upcoming IBC convention. Nautel has emerged as one of the world’s largest manufacturers of broadcast transmitters. With more than 14,000 transmitters deployed in over 177 countries since 1970 and more than 6,000 deployments of AUI-enabled transmitters, Nautel continues to lead the way in providing valuable new solutions for digital broadcasting and other applications.